Wine connoisseurs insist that wine is best if it is given time to “breathe”. This is done through a process that is known as aerating the wine. Aerating wine can be done using funky looking tools known as wine aerators, or you can pour the entire bottle of wine into a decanter, or you can just gently swirl the wine in your glass. Yes, there is actually a purpose to wine swirling besides trying to look cool and sophisticated at a dinner party. But do it wrong and you get an embarrassing red patch on the front of your shirt or blouse. 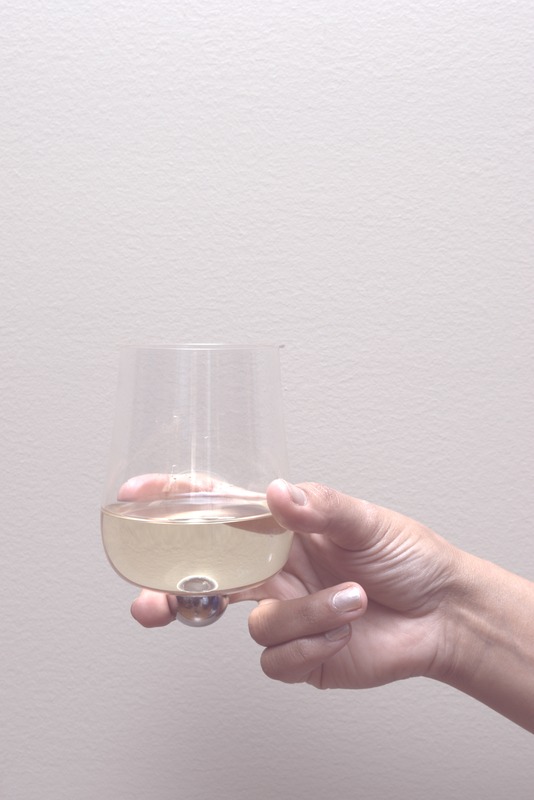 The easy and fun way to aerate your wine in a glass is to use the Aura Glass. The Aura Glass is the wine glass redesigned. The glass pivots on a stainless steel ball and instead of manually swirling your wine in your hand, you just place the wine-filled glass on the table and give it a gentle push. The perfectly balanced Aura Glass will then pivot on the steel ball while gently swirling and aerating your wine at the same time. The glass itself is made from high quality lead-free glass using state-of-the-art technology. Two different glass sizes are available, a larger one for red wines and a smaller one for white wines. However, we are not snobs and do not judge on how you use your wine glasses. The Aura Glass has started a Kickstarter campaign to raise funds to make this unique and revolutionary wine glass a reality. If you are interested in introducing a little bit of fun at your next dinner party, you can pledge for a couple of Aura Glasses of your own by going to their Kickstarter page. Update: Unfortunately, the Aura Glass did not manage to get funded on Kickstarter but you can still get a set of Aura Glasses via AuraGlass.com.